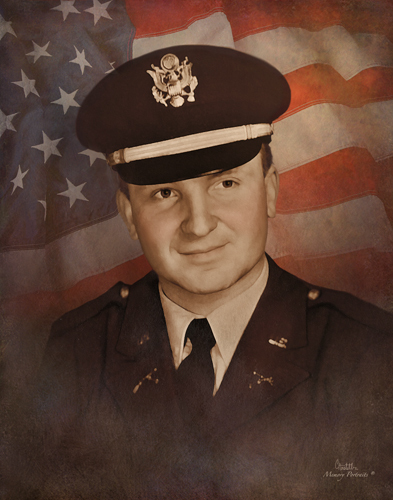 Robert Salvatore Hinkleman, 84, of Taneytown formerly of Glen Burnie passed away peacefully on April 13, 2019 after living a life devoted to God, family, and his country. Robert was born in Baltimore to the late George and Kathryne (Navratil) Hinkleman. He graduated from Loyola Blakefield and then Loyola University with a Bachelor's in Business Administration. While visiting a local drugstore in Annapolis he met a clerk named Dolores whom he would marry on Jan. 22, 1956. Together they enjoyed many wonderful years together and raising their family. During his time at Loyola he was active in ROTC which prepared him for his exceptional military career. He served as a Captain in the 82nd Airborne. He trained rangers to work in the extreme conditions of Alaska before it became an official state. After the military he became active in several business ventures from laundromats to gas stations. Lastly he worked alongside his son Gregory in Fiber Optics. Robert was a devout catholic and active member of Holy Trinity. He led a group to help save Holy Trinity School (Monsignor Slade) from closing. He also enjoyed collecting for fun, rock, mineral, antiques, coins, and stamps. He was preceded in death by his parents; beloved wife Delores Hinkleman; son, Robert Scott Hinkleman; and his brother, George Hinkleman. He is survived by his children, Lisa Streib (Norman), Donna Balinski (Mike), and Gregory Hinkleman (Karen); grandchildren, Andrew (Rhonda), Sharon (Andrew), Candice (Derick), Justin (Courtney), Karen (Chris), Aaron (Danae) Robert (Haley), Gregory ( Leanne), and Bradley (Cathleen); great-grandchildren, Seth Christine, Jason, Logan, John Toby, Ariel, Ella, Lia, Tyler, Alex, Benjamin, Delilah, Brianna, and Kathryne; numerous other relatives, and friends. The family will receive visitors at Singleton Funeral & Cremation Services, P.A., 1 2nd Avenue S.W. (at Crain Highway), Glen Burnie, on Wed. April 17 from 3 until 8 pm with a Rosary/Vigil at 7:00 PM. A Mass of Christian Burial will be celebrated at Christ the King Catholic Church formerly Holy Trinity7436 Baltimore-Annapolis Boulevard Glen Burnie, MD 21061 on Thursday at 10 AM. Interment Glen Haven Memorial Park with military honors.